How relevant are randomised, placebo-controlled, double-blind, crossover trials in personalised medicine? What do clinical trials tell us, and how often do they change the way we practice? Can the same principles that govern pharmaceutical trials be applied to herbal and nutritional medicine? These are some of the questions raised by today's guest, nutritionist and researcher, Dr Niikee Schoendorfer. In this industry insights podcast, Dr Shoendorfer shares the reasons why natural medicines fall prey to the assumption that a lack of evidence equates to a lack of efficacy and why the reductionistic approach of the scientific method can often set integrative medicine up to fail. 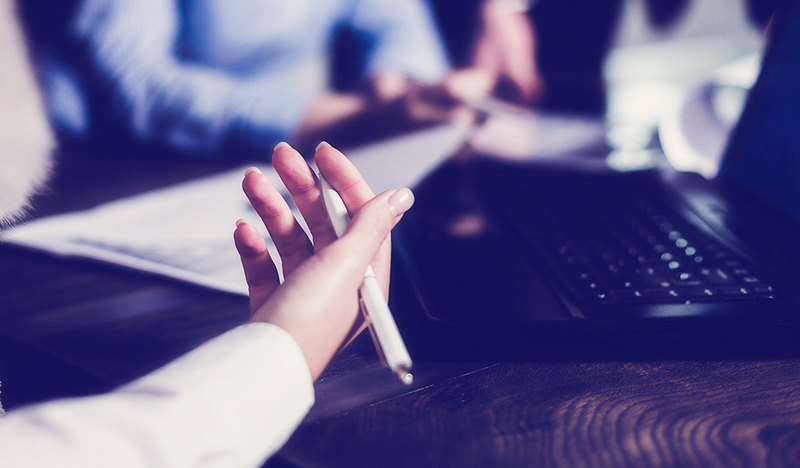 An insightful look into the shortcomings of accepted evidence methods illustrating why the industry needs more clinicians entering research. 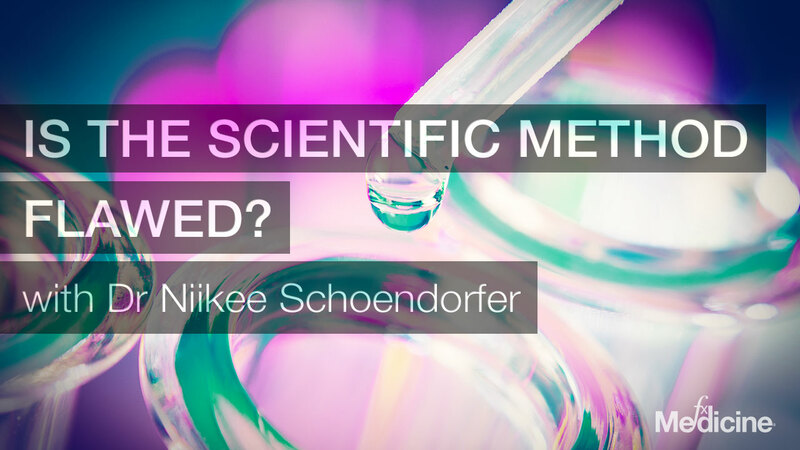 [06:15] Is the scientific method flawed? [18:17] How can we design better studies? [30:46] Advice for future researchers? Andrew: This is FX Medicine, I'm Andrew Whitfield-Cook. 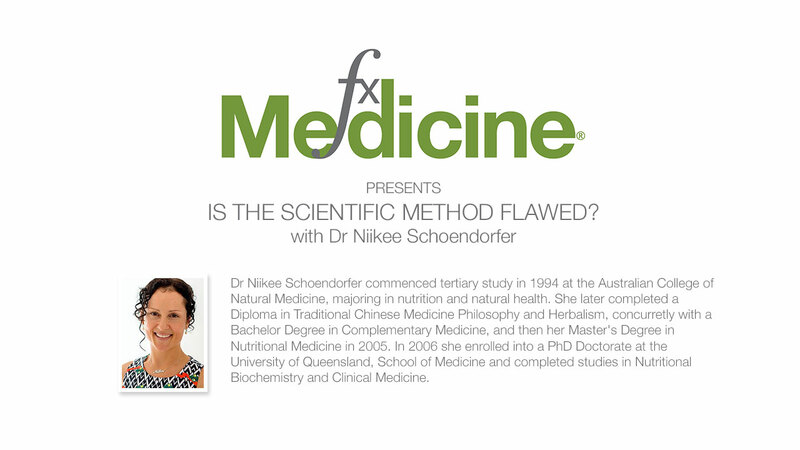 Joining us on the line today is Dr Niikee Schoendorfer, who commenced tertiary study in 1994 at the Australian College of Natural Medicine, Brisbane majoring in nutrition and natural health. She later completed a diploma in traditional Chinese medicine philosophy and herbalism, concurrently with a bachelor degree in complementary medicine, and then her master's degree in nutritional medicine in 2005. 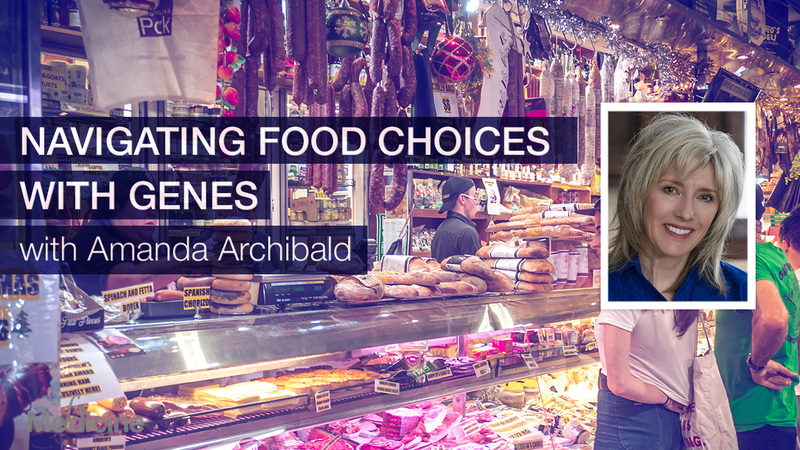 She then enrolled into a PhD doctorate at the University of Queensland's School of Medicine and completed studies in nutritional biochemistry and clinical medicine. Her passion for teaching has spanned over 10 years. 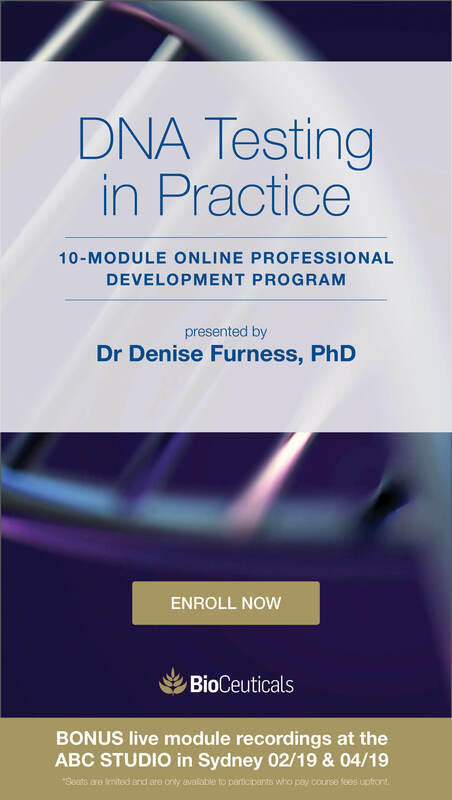 Facilitating classes from the Endeavour Natural Medicine degrees and also in the University of Queensland Medical School Program. Niikee has been practicing as a holistic health practitioner since the year 2000 assisting many people on the road to health and happiness. Welcome to FX Medicine, Niikee Schoendorfer. How are you? Niikee: I'm very well thank you. How are you going? Now, I've snipped out a heck of a lot of your career. Tell us a little bit more about this career. Because it's very interesting and I might say very rare, that a nutritionist/ naturopath-type person/ practitioner goes into teaching at the medical school. Niikee: Yeah. I guess, you know, what kind of actually got me into research in the first place is because when during my initial studies I kind of thought, "You know, this stuff is so important and people are just missing the really basics about we need nutrition for our body to actually function properly." And I thought, "How could I bring more of this information through?" And so I thought, get into research and work along that line. And during my research it was then, you know, the opportunity came about when they were redesigning the medical school program, and they put out expression of interest for people's opinions through the faculty. And so I structured, you know, and did some research and structured a nice cover paper for backing up why nutrition is important and why it should be taught in medical education. And so then I was later invited to a networking workshop and I just happened to be seated next to the lady who was the director of the medical school program. And we just got to chatting and she's like, "I love it. I love it. It's amazing. It's perfect." And you know, it just went on from there. And we ended up working because you know, everything is about funding. We ended up working it as a research project to be able to get some internal funding looking at the provision of the increase of nutritional components and if that did actually change the perceptions around medical students' thoughts and views on nutrition in clinical practice. So you can read all of that if you look at my publications or my later publications of the medical education stuff if you're interested to know more about that, all of that. Andrew: So we'll put that up on the FX Medicine website but that's a very interesting point that you make right there. Did it change and did it change practice? And I've got another one. If it's changing practice to add nutritional medicine, what has been the fallout, if you like, of these, call them integrative doctors when they come up against the stalwarts that refute any benefit of nutritional intervention? Niikee: Yeah, it's kind of interesting. I think a lot of the… I guess the drama, you could call it. Around people's opinions I think we're going to see that fizzle out as time goes on. Because it seems to be more people who are, you know, without being ageist, if that's what you call it? Who seem to be more older, or trained a long time ago that are more stuck in their ways. And a really interesting thing that we found, when we published the baseline results of the attitudes and perceived knowledge towards nutrition with the students going through, is that the majority of them did feel that it was really important. So I think, with the changing times that people are more equipped to make better decisions for themselves. And you only need to eat better food to know that it's making a difference to your health. You don't need to wait for, you know, a barrage of research papers to say, "Oh well, eating nutrients or healthy food is going to be beneficial for you." You know, I think that's kind of overlooking people, in a way for them, you know… "Are we as humans or as people, just general public, are we able to know what makes us feel better or not?" So I think it's kind of taking a bit away from our own power by saying that, before we can make recommendations, particularly about basic things like eating vegetables, whether we need to have a barrage of studies? And then it leads me on to what we'll also going to talk about is, "Is the scientific method really the ideal way, the way it's structured this moment, the ideal way to be able to work out what's best on a public population level as well?" Andrew: And that's a perfect segue into our topic; Is the scientific method flawed? But what do we mean by that? I mean, we certainly need some sort of science to guide benefit versus no benefit. But I do understand that you know, there aren't many studies out there double-blind, perceived, or controlled randomized trials on showing that the red apple is better than the green, for instance. Niikee: Yeah. I mean, I guess one of the biggest shortcomings is the lack of funding. And without the funding, the studies haven't actually being done. And I think some of the public perception, particularly the people that tend to be a bit biased, they quite often mistake a lack of evidence for a lack of efficacy. Whereas, the research just simply hasn't been done. Rather than it doesn't work because there's no research. That's not what it's saying at all. Andrew: Does the issue then become one of claims of benefit? Niikee: Well, you know, that's the marketing machine then, as well. Which, I know, as practitioner products, there's some regulations. But once you get on to the World Wide Web… it's you know, every celebrity and their pets that have health advise for people, really, isn't it? And so I can understand why there is a lot of confusion, but at the same time there are people that are adequately trained in areas of physiology and holistic health that it's worth people just spending the time and the effort, at least once, just to get a bit of a summary of what's happening with themselves as an individual. Andrew: Well, let's go through various types of evidence. Like I just mentioned one, the randomized control trials, the RCT, but there's so many other types. And you'll get every now and again, you get somebody popping up saying, "You know, epidemiology is a waste of time and you need to do an experiment." But then if you can do an experiment, you can get a totally wrong answer. Niikee: Yes. So I guess with the epidemiology studies, being observational studies we can't... they can't prove causation. Because when we're observing, particularly when you are observing things around health, health usually happens in a concert. So say, for example, there was research that showed that people who ate higher amounts of fruits and vegetables, which there is, have a much lower risk of a whole lot of different disease conditions. So is it in fact, the higher fruits and vegetables, or is it the fact that people who consume higher amounts of fruits and vegetables eat less garbage, eat less sugar? You know, maybe they drink more water? Maybe they're more likely to participate in physical activity? And so, you know, from that perspective the observational or epidemiology research can be useful for us to develop hypotheses, to be tested. But we can't say that, "Well, that's what it is." You can't like specify, because of that… because you know, it's not a controlled study. Andrew: Yeah. Do all studies have a set list, if you like, of confounders that they reach for to say, "Okay. The possible confounders of this are A, B, C, D and E"? Or can they very easily miss certain things like what you've just said? Like, somebody who eats apples is more likely to be involved in physical activity. Or do they just go for the obvious ones? Niikee: Yeah, has pharmacological properties that can change cell membranes. And so when you're comparing a treatment to another treatment, at the end they conclude the difference between the two groups wasn't very much. Whereas if they actually looked at the benefit on it's own, that people were getting… or some of the people were getting, that's actually clinically very relevant as well. Because you know, perhaps the people who were deficient or, I'm pretty sure this is what usually happens, is the people who are deficient and Omega-3 was the problem. Essential fatty acids balance was the problem. Are the ones that are going to benefit from taking the Omega-3 oils. But because in the studies they go and lump everyone with dyslipidemia into one study that, "Is the fat balance is the problem or is the sugar the problem?" And so if people have got blood sugar issues that are causing dyslipidemia, by giving them Omega-3's it may not help. And if Omega-3 aren't the problem, Omega-3 aren't going to be the solution. And, you know, we see that all the time with… particularly nutrition-based research and other research where we're trying to support physiology rather than trying to… You know, I guess with drug therapy… drug therapy is designed to do a specific thing. To change physiology, which it does very well. And so the scientific method can very easily say whether that drug does or doesn't do that. When we're looking from a natural medicine perspective, we're trying to support physiology. And the way to support physiology, is going to be based on what's the issue with the individual's physiology? Not just the set of symptoms, that might be dyslipidemia. Niikee: That happens so much. Andrew: Yeah. What I think is interesting though is that you've got the GISSI-P, GISSI-HF in an Italian geographical and cultural place where they eat more fish. You've also got the Jelis trial, the J-E-L-I-S trial, again, done in Japan using just EPA. In Japan, where they eat more fish. Then you take that same dose official that they used and you transpose it to Melbourne or Sydney, where they don't eat fish. Australia is not a fish-eating country by default. And then you're trying to ask that same dose of Omega-3's is to get the same effect in a non, if you like, with a far different baseline, a far different dietary intake. So I'm wondering whether this, you know, a dose issue is part of the problem here? We've seen it with Vitamin D as well. Niikee: Oh, of course, yeah. Of course, I mean, that's another one of the issues as well. Looking at people's baselines, people's environment, you know, their baseline physiology. But was it the actual essential fatty acid imbalance that was causing the dysfunction under study anyway? Andrew: There's a kettle to dive into. Niikee: Yes. So, is the scientific method flawed? You know, we're always getting mixed results. And are we ever not going to get mixed results? I think we're not. I think we're always going to see mixed results. Because of the fact that we're trying to find the magic bullet. And there aren't magic bullets when you're trying to support physiology. Because not everybody got dyslipidemia for the same reason. Andrew: So I think maybe we should qualify the, "Is the scientific method flawed?" It certainly may be flawed when you've got inexperienced researchers doing research on nutritional medicine, where there are a vast different... or vastly different need for measuring different parameters. Niikee: Oh, yeah. I mean, that as well. But, even in general, I think, testing say, you know, even when... okay, we'll move back to natural medicine… We treat people holistically as well. We don't just go and give one particular thing. We don't go and say, "Okay, well, a low salt diet for somebody with hypertension." Like, if salt's the problem, that's going to work really well - if that's the only problem. But if that person's really stressed, a low salt diet isn't going to work until they help sort out their stress, you know, as well. So, you know, using more of that whole practice, research-type of scenario. At least that's getting a little bit closer from you know, a holistic-type of management. And even then we cross into the placebo effect. I mean, the placebo effect is a perfect example of more than just physical treatment can affect people's health. Andrew: So is this part of what we term 'critical thinking?' Like, some of us talk about that Sherlock Holmes was famous for it, the 'deductive reasoning.' Is there another way of critically analysing results? Niikee: Ahh, well, that's back to... that, the problem with scientific method, is that they're trying to find one answer, for one problem. And that's through deduction. So deduction, by gathering everything, and finding its common denominator. But is there a common denominator for everybody? Like, that's just not the way it is. Andrew: And what's the alternative? Niikee: Well, I mean, you know, selecting maybe people for studies based on more than just a disease condition. You know, can we separate those into people who say, if we take the hypertension example again. Can we separate it into people also with anxiety? So hypertension with anxiety rather than hypertension, you know poor diets… something like that? Whereas just by dumping everyone with hypertension into a study and giving them a low salt diet. You're going to find it works for some people, which we do find. You know, it works for some people but not for others. And then so the research method then concludes that more research needs to be done. There's mixed results. And so we can't make any assumptions. Which is a major error. Because it has worked for those 50%, 60% of people. Which is what we see in the research. That it has actually worked for those 50% and 60% of people, which I think is really important information, that we're missing. Because they're waiting to find something that works for everybody and they're never going to. So, I mean, I guess when we look at people from a holistic perspective we use that inductive reasoning. Which is gathering a whole lot of different resources, I guess, about a person. You know, whether it's the physical assessment, the lifestyle analysis, all of those other components that we use, and then looking at the person in a broader perspective. Of treating the person, rather than treating a disease. Andrew: So how would you differ, I guess, a well-designed study for nutritional medicine. As opposed to a pharmacological agent where you really want that reductionist thing that… and let's face it, you want that reductionism so that you can show that you have reasonable expectation on a return for a monetary investment. That's the purpose of a pharmacological agent. Niikee: Yeah, totally. And, I mean, while they're aiming at lowering the blood pressure they can take a drug for that. And so the scientific method is perfect in that area. Because then they want to find out whether this drug that's designed to lower blood pressure, lowers blood pressure. Quite simple. It either does or it doesn't. And hopefully the side effects aren't major, and then if they work out whether they can release it onto the market or not. And so the scientific method is perfect from that type of perspective. Because the drug needs to do that. But is just lowering that person's blood pressure bringing them back to wellness? Because we're not addressing why that person has got high blood pressure. And so the person's never going to get well. They're just going to have lower blood pressure artificially, based on what the chemical agent that they're ingesting does to their bodies. Andrew: So, can you name examples where randomized, multicenter, placebo-controlled, crossover trials? Have I covered all aspects there? That don't apply to natural medicine. Like, for instance, I remember Jeff Bland talking about, maybe with nutritional medicine we should be looking at things like, intervention studies. But I guess the issue there is, well, you know, 20 different practitioners could treat this, a very similar disease, in a multitude of different ways, and end up all seemingly, with a positive result. How then do you get consensus? Niikee: Yeah. Well, I mean, that's just back to, "Are we looking at it in the wrong way?" Andrew: So where should we... how should we be designing studies? Especially with nutrition and lifestyle, but I guess also with supplements? Should we be looking at not one, but a few supplements and how, let's say, a supplemental protocol? I will use the word 'protocol' in this, because it is something that you are hoping to research. Normally, I disdain that word. But in this instance you are hoping to create a protocol that will then be backed up by the results that you'll gain. Niikee: Yeah. I mean, again it's about, "How do we do that and look at the individual?" I'm not sure that we can. Because that's… I think, the scientific method is in error by trying to find one thing that suits everybody. And I don't... that's what I don't think it's possible. I mean, as clinicians that have been working for a long time, we know that we get results. 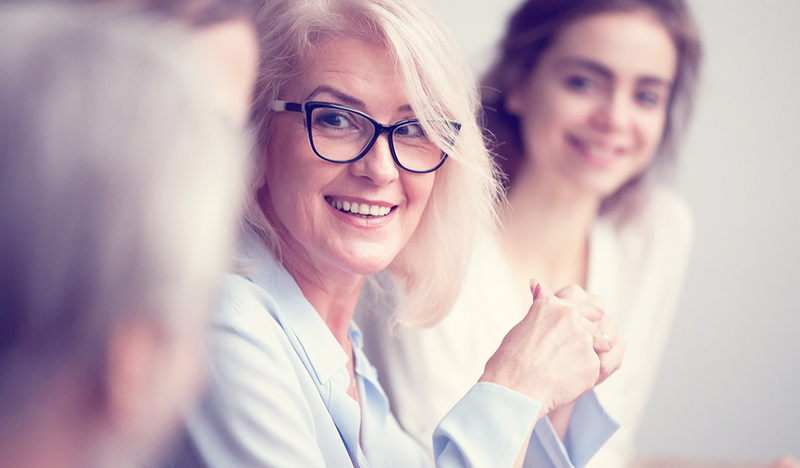 Patients know that we get results with how we treat the person as an individual. I don't treat disease when I see people, I treat the person. I see exactly what's going on with that person and address that accordingly. Rather than ok, "Well, that person has got this disease and that disease and that disease. How will I tackle that?" Andrew: Yeah. So this is looking at the outcome? Niikee: Yeah. Yeah. Yeah. Yeah. So outcomes-based research. But you're right. And then you get the people who are in the court of the scientific method saying, "Well, they haven't all been given the same treatment. So how can we say..." And it's like, well, that's just where this problem is. Is that you're not going to find the same treatment that works for everybody. Andrew: Can you give us some examples of where an outcome study, if you like, what we're talking about, the correct way of doing research with nutrition. Has shown benefit, has shown that it's made it a positive impact on patients' lives? So that, I guess, the big thing is, so that sceptics can go, "Uh, maybe I should look further than my reductionist, you know, deductive reasoning." Niikee: Yeah, I'm really not sure. I think some people just get stuck in their ways and then refuse to acknowledge 'new'. New into their perspectives. I mean, that's a beautiful thing about science and why I got into it in the first place. Things are always changing and, you know, but unfortunately you get people that are stuck in the old ways and they don't want to be open to new developments and new realisations about things. Andrew: So what's been your experience when you're teaching doctors, and they sort of come up against this, "I have never run into this way of thinking?" What's been the flip in their mind, how have they reacted? Niikee: I guess, probably the most rewarding thing about lecturing in the first year with the medical students is that they are open to those sorts of ideas. And I think of a lot of them, being of a younger generation as well, are very much open to knowing that you need to eat well, to feel well. And so, just really breaking it down to, "This is how the body functions. This is why we need fibre. This is why we need essential fatty acids. How that is how the body can produce its own anti-inflammatories, which is then protective against chronic disease. And it's just the way… If you could see, some of them walking and looking a little bit skeptical, I think, to start off with. But then, once you break it down like that, they are just, "Wow. You know, it's really not that complicated once you can kind of break it down. Well, that's actually why we need food." Andrew: And then have you ever had any students that have gone out into the big bad world, contact you and say, "You know what? Thanks for that. It really made a difference in my patients' lives"? Niikee: Well, I haven't had any that have come out doing that. I've only been teaching in medical programs maybe the last I think, about five years ago. The last five years. But I have had emails of students after the sessions and, yeah. And, you know, we haven't tracked further than that with the research in that particular area. But you know, there is actually a big... we did then move on to do a national collaborative project with other medical schools around the country. And we've developed a bunch of web-based resources so other medical schools can use those. We ended up with a national teaching and learning grant. So sharing... It wasn't from the health department. I mean, from the Teaching and Learning Council for sharing resources amongst universities. So we're able to do that in the last few years. And then, even this year, Harvard has started an international movement for nutrition in medical education. So there's really... we're really getting momentum in that field now, which is really good to see. Andrew: You know, this is something that really interests me, is that like, if you speak to an integrative GP, they'll tell you, and without exception, they'll tell you that they did naff-all training on nutrition. You know, like one lecture or something like that in their medical training. Niikee: Yeah. Well, there's actually a research… we published a research paper with Deakin. And we actually looked at the needs. So we actually looked at the amount of nutrition education in Australian medical schools. And looked at the paucity of information. We've developed a competency framework in consultation with a lot of other medical education specialists and other leaders in those fields. And so there is a competency framework that exists now and, again, the issue is with funding. The schools have to then come to the party and get somebody on board who can help. You know, how it works, these types of things. As well. Andrew: When you're lecturing, I have to ask, do you tend to stick to the more medical type frameworks of dietary and lifestyle intervention? Like, for instance, ketogenic diet in epilepsy is a classic one. And I've run up against this from a colleague's point of view where a group of neurologists learnt about this. And there was this spread of acceptance, if you like, and not refuting, but unfortunately, there was a very small percentage that said, "This is really interesting. I'm going to change my practice." Most of them said, "No. Too hard. Very interesting. But too hard." And this, to me, is really sad because it's not them that's losing out, it's their epileptic patients. So how do you find... like where do you stick to with regards to dietary interventions and how do you find the uptake? Niikee: I guess we're in first year. We're talking just mainly biochemistry and physiology. And you know, just really basic. I do a nutrition masterclass with the students. Where we look at Jane Blogs or Bill Blogs or whatever. Who's got the classic, which a lot of people do in this country unfortunately. You know, the metabolic syndrome types of things with obesity and dyslipidemia. You know, it's just those really basic things of just nutrition, diet… you know, diet and lifestyle. And there is a lot of information about the protective benefits of having more fruit and vegetables. Reflecting on the dietary guidelines which are improving, which is really good as well. Andrew: Slowly. Ever so slowly. Niikee: It's just that basic stuff to help them demystify all that rubbish that they read on the internet as well. It's like, "Well, these are the facts. And this is the base scenario that 95% of Australians aren't doing." Andrew: Yeah. Well, I was going to say absolute poor dietary choices. But they've got the most of the money. And so, people are marketed to buy these companies rather than the health food. So the fact of the matter is the healthy guidelines haven't worked. Niikee: Yeah. Yeah. And it's exactly that too. That people just do believe what they're told. And they're told in such… you know, these marketing people, no offence to any marketers out there. But you know, they spend years getting trained at university on how to manipulate people. Andrew: Yes. I'd say offence to marketers out there that are doing this. Pointedly. Niikee: Well, you know... But this is the reality. And people just want a quick fix. Niikee: They don't want to take responsibility. They want that miracle pill. Because they're all low energy. Because they've never eaten enough vegetables, quite simply. And they want that quick fix. Andrew: This is definitely the downfall of our society, is the word convenience. Niikee: Yeah. Yeah. Yeah. But, at the same time, I think we're seeing a big shift and there's, you know… I think there's even a renaissance when we're looking at people who are just knowing they feel better when they eat better. And I think we're seeing it more and more out there. You know, the response I get from the medical students, it's great. You know, they're all thanking me at the end as well, "Thanks for sharing all that with us," and they're appreciative. And they recognise the need as well. Andrew: And you've kindly shared some of your research which we'll put up on the FX Medicine website for our listeners to engage in. But I've got to ask you, where to now? Niikee: Oh, well, that's interesting isn't it. Just, yeah, I really enjoy lecturing. So I guess that's sharing my knowledge with students. I do teach at the at the Naturopathic College, still in Brisbane. I teach in the medical school as well. Back in private practice as well now. I sort of untangled myself from the trying to get funding all the time that it's just not available. So I thought, "How can I use my skills better?" And so that's kind of, I'm directed more now towards just education and towards educating. And in educating clients as well. Andrew: One last question for you, Niikee. And that is, for the budding natural health practitioner wanting to start a career in research with natural medicines, natural protocol, natural framework of medicine, if you like. What would you suggest? Niikee: Get a good research group. I think that's one of the things because I did start so early, there wasn't much around at the time in the university systems. And that was probably the toughest thing I found was, I was just doing everything alone. Andrew: But how do you first find that? What sort of things did you do to actually engage… you know, the first engagement? Niikee: Well, I just made appointments with people. I just read research of who was around and then made appointments and just met with them. Yeah. But I would suggest to people to have an area of interest, have a look of who is doing what in that area and just get in contact with them. You know, everyone is always after students to help with their research or that type of thing. So it's definitely there's stuff out there that can be done to contribute to the literature as well so I think that'll be wonderful. Andrew. Brilliant advice. Dr Niikee Schoendorfer, thank you so much for taking us through another way of thinking about how we read research and think about research results. But I guess also, engage with our patients. Thinking from the bottom up rather than taking things apart from the top down. Thanks so much for joining us on FX Medicine. Niikee: No worries, it's been my pleasure, Andrew. Thank you. Hopper L, Ness A, Higgins JP, et al. The GISSI-Prevenzione Trial. Lancet 1999 Oct 30;354(9189):1557. Yokoyama M. Japan EPA Lipid Intervention Study (JELIS). Randomized clinical trial involving primary and secondary prevention of cardiovascular events with EPA in hypercholesterolemia. Nihon Ronen Igakkai Zasshi. 2009 Jan;46(1):22-5.